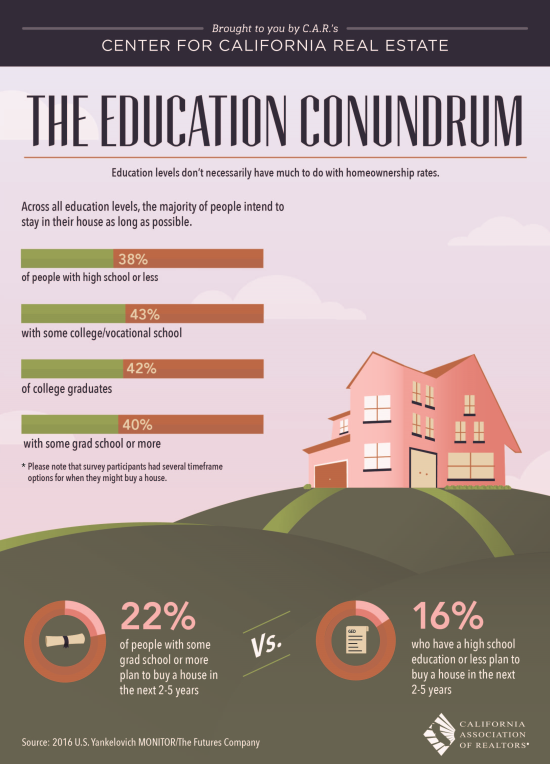 Education Levels don't equate to home ownership. The majority of people tend to stay in their home as long as possible. Home ownership does equate to security.